Clean water is a problem for some countries, mainly in Africa. In my last post about water there is a link to a documentary called FLOW. For 4 or 5 seconds a guy mention something about a playpump. So I decided to know a little bit more about that idea. Roundabout Water Solutions, who has an agreement with the South African Department of Water Affairs and the Governments of Malawi, Lesotho and Swaziland, is raising donor funds to supply rural communities, with clean drinking water, by means a sustainable pumping system, called a PlayPump, that is powered by the play of children. Ideas like that to help small communities are more than welcome as in How Solar Energy Empowered a Nicaraguan Community Once Devastated by War. However there are some disadvantages as mentioned by this report released by UNICEF in 2007. For example the pumps cost around $14 000 which are more expensive than traditional pumps. 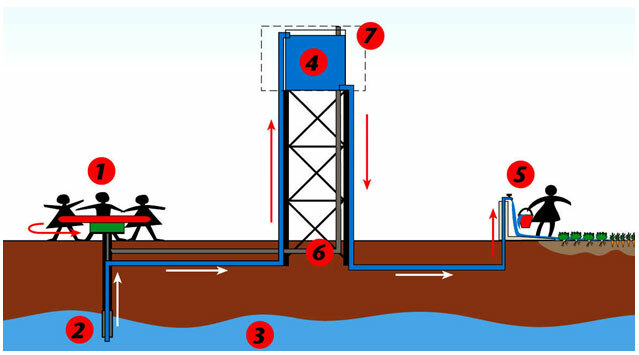 Also a Playpump could theoretically provide the bare minimum water requirements for about 200 people a day based on two hours’ constant “play” every day. It is a great idea but it is not to solve to problem the intention is to mitigate it. Of course the costs should be lower than that. via (read more in) Welcome to Roundabout Water Solutions.